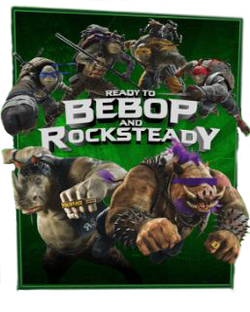 Stumbled upon this game called 'Ready to Bebop and Rocksteady' that was made last year for the OOTS movie. I can't remember it being listed on any of the movie websites at the time, maybe I missed it. Perhaps it was ment as a mobile release?